1956 Born in Fordingbridge, Hampshire, UK. 1974-75 Salisbury College of Art, Wilts. Foundation Art Course. 1975-78 Canterbury College of Art, Kent. B.A.(Hons.) Degree, Fine Art. 1979 Cyprus College of Art, Paphos, Cyprus. Post-graduate Diploma, Fine Art. 1981-83 National Theatre, London. Dresser and Assistant Wardrobe Mistress. 1985-86 Passmore Edwards Museum, London. Part-time Archaeological Work. 1986 Cyprus College of Art, Paphos, Cyprus. Visiting Artist. 1986-87 Museum of London. Volunteer Archaeological Illustrator. 1987 British Institute of Archaeology, Ankara, Turkey. Archaeological Illustrator. 2000- London School of Economics. Part-time Library Assistant. 2001- Royal College of Art. Part-time Library Assistant/Supervisor. 1989-2018 Cyprus College of Art, Paphos, Cyprus. Visiting Artist and Lecturer. 1983-84 Athens School of Fine Arts, Greece. Greek Ministry of Education Scholarship. 1984 Greek Ministry of Culture and Sciences. Exhibition Grant. 1987 Oppenheim-John Downes Memorial Award. 1978 Stowells Trophy Exhibition, Royal Academy, London. 1979 British Council Gallery, Nicosia, Cyprus. 1980-82 Annual Open Studio Exhibitions, Metropolitan Wharf, Wapping, London. 1983 John Moores Exhibition 13, Walker Art Gallery, Liverpool. 1985 Whitechapel Open Exhibition, London. 1985 Camden Annual Open Exhibition, London. 1985 White Space Open Drawing Exhibition, London. 1985 Café Gallery Open Exhibition, London. 1986 Gloria Gallery, Nicosia, Cyprus. 1987 Paintings and Sculpture at Trelawney Road, Bristol. 1989 Opus 39, Nicosia, Cyprus. 1990 ‘British Travellers in Greece’, Fine Art Society, London. 1993 Gloria Gallery, Nicosia, Cyprus. 1993 Omphalos Exhibition, Sandwich, Kent. 1985-93 Greenwich Annual Open Studio Exhibitions, London. 1993 Unit 10 Gallery, Exeter. (With Geoffrey Rigden). 1994 The Cut Gallery, London. (With Geoffrey Rigden). 1994 ‘Made in Greenwich’, The Living Room, London. 1995 ‘Thomas Watt and Friends’, Ramsgate Library Gallery, Kent. 1996-99 A.P.T. Annual Open Studio Exhibitions, Deptford, London. 1997 Apocalypse Gallery, Nicosia, Cyprus. 1998 Geoff Hollow Benefit Exhibition, Beardsmore Gallery, London. 1999 A.P.T. Gallery, Deptford, London. (With Mick Blake and John Foster). 2001 Apocalypse Gallery, Nicosia, Cyprus. 2002 ‘The Colour of Spring’, Fisherton Mill, Salisbury, Wilts. 2002 Morphi Gallery, Limassol, Cyprus. 2002-06 A.P.T. Annual Open Studio Exhibitions, Deptford, London. 2002 John Moores Exhibition 22, Walker Art Gallery, Liverpool. 2005 En Plo Gallery, Kato Paphos, Cyprus. (With Geoffrey Rigden). 2006 ‘From The Medway To The Med’, Horsebridge Arts Centre, Whitstable, Kent. (With O’Neill, Rigden, Webb). 2006 Kypriaki Gonia, Larnaca, Cyprus. (With Geoffrey Rigden). 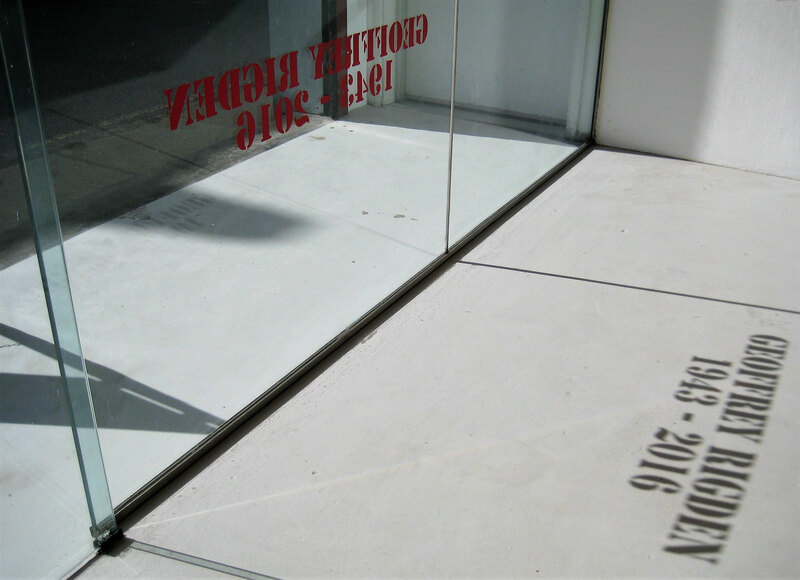 2006 ‘Through The Large Glass’, Three Colts Gallery, London. 2007 ‘Triple Vision’, Apocalypse Gallery, Nicosia, Cyprus. (With Geoffrey Rigden and Neil Stephens). 2008 ‘Artists of Fame and Promise’, Teaching Staff of Cyprus College of Art, Kypriaki Gonia, Larnaca, Cyprus. 2010 The Cut, Halesworth, Suffolk. (With Geoffrey Rigden). 2012 Royal Academy Summer Exhibition, London. 2013 ‘Chromatology’, Cornaro Institute, Larnaca, Cyprus. (With M. Paraskos, S. Paraskos, G.Rigden, D.Webb). 2014 ‘Stass Paraskos with Colleagues and Collaborators’, Cyprus College of Art, Lemba, Paphos, Cyprus. 2015 ‘8:Connect’, Linden Hall Studio, Deal, Kent. 2015 A.P.T. Open Studios (Guest artist), Deptford, London. 2016 A.P.T. Open Studios (Guest artist), Deptford, London. 2016 Winter Exhibition, Linden Hall Studio, Deal, Kent. 2017 ‘Hidden’, Dyson Gallery, Royal College of Art, London. Work by RCA staff. 2017 ‘Nostos’, Palia Ilektriki, Paphos, Cyprus. (With A.Antoniadou, E.Koutsoftides, C.Newman, M.Paraskos). 2017 A.P.T. Open Studios (Guest artist), Deptford, London. 1984 British Council Gallery, Athens, Greece. 1990 Finnegan Fine Art, London. 2000 The Hellenic Centre, London. 2004 The Gallery, Cyprus College of Art, Paphos, Cyprus. Work held in private collections in the UK, Greece and Cyprus. ‘A Wash of Golden Water – A study of the life and work of Costas Economou’. (Awaiting publication). 2012 ‘Adamantios Diamantis – Henry Moore’s Colonial Counterpart’, RCA Library, London. 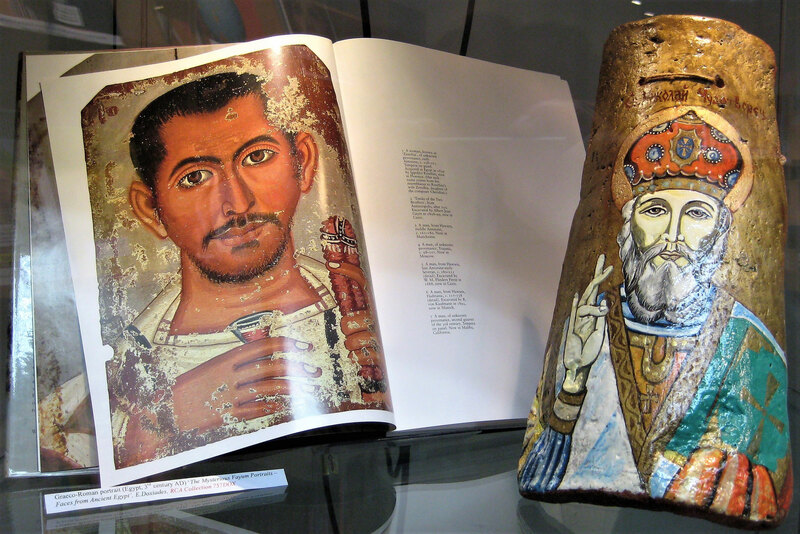 2015 ‘Away with the Angels’- History of Icon Painting, RCA Library, London. 2016 ‘Geoffrey Rigden 1943-2016. An Exhibition’, APT Gallery, Deptford, London.